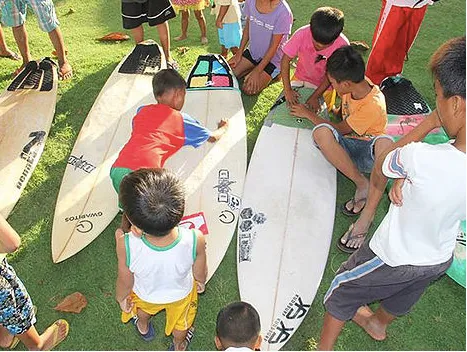 With the aim of providing after-school programs that are interactive and educational, this non-profit engages children in a surfing community to attend vocational and livelihood courses as well as mentoring programs. 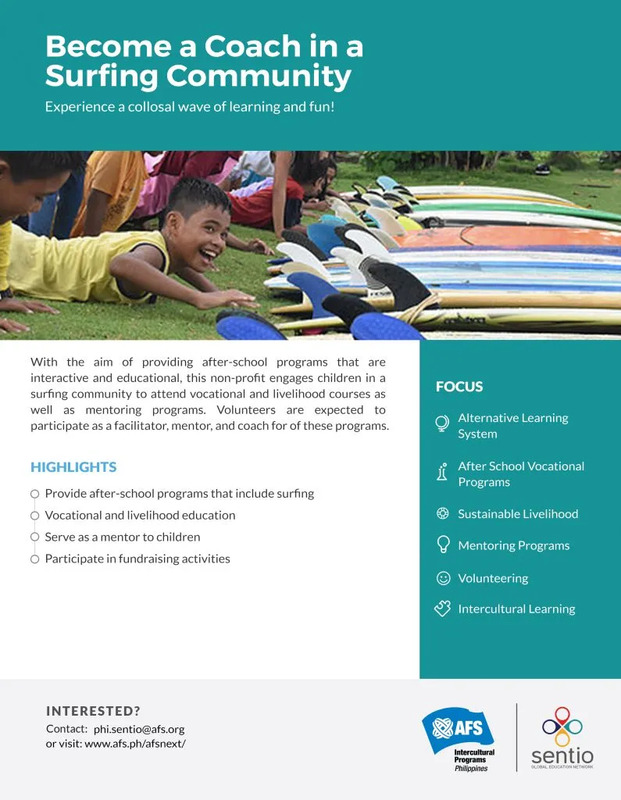 Volunteers are expected to participate as a facilitator, mentor and coach for of these programs. Increased knowledge and appreciation of different cultures. 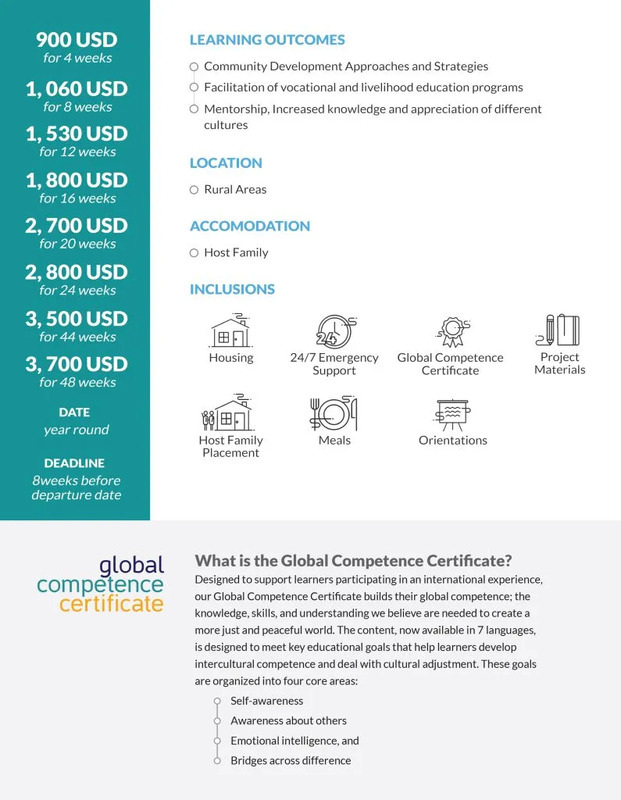 You may choose to take part in this program for either 4, 8, 12, 16, 20, 24, 44 or 48 weeks. Please contact us for more details. The participant must have good communication skills, team spirit, and good organizational skills. 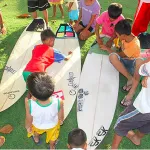 The participant must also possess the willingness to assist in surf-mentorship operations who shows maturity and independence. Likewise, the participant must be willing to adapt and adjust in a foreign environment (i.e. to learn a local dialect as needed), flexible and open-minded. Participants will be accommodated by host families who will be providing the meals. 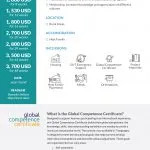 However, participants are expected to responsible for their transportation expenses. A regular meal usually costs around Php50-100 (1-2USD) per meal. Transportation fee will not exceed Php100 (2USD) per day (roundtrip). The Philippines is a tropical country and an archipelago with more than 7,400 islands. Participants can spend their weekends by traveling in nearby beaches, waterfalls, mountains, lakes etc. We also have several festivals every month nationwide. They can join these street parties, eat local foods, join family activities and experience city life.